If you use tabs in your web browser (see above for an example), you will probably fit into one of two categories: A mindless surfer or a web page hoarder (I’m the later…for better or for worse). This doesn’t just look messy and disorganized, and it doesn’t just slow you down when you want to find that new triple chocolate fudge recipe you kept open, it can really hamper your system’s speed. The problem is that every web page sitting open, idle or otherwise, takes up system resources, resources that you would probably rather have available for whatever it is you’re currently doing, rather than something you were doing 4 hours ago. If you’re a mindless surfer, you simply open new tabs, get side tracked, and forget to close out old tabs. You keep your browser window open all day long, and just keep adding new tabs to the list. If you’re a web page hoarder, like me, you find yourself stumbling upon sites that are important enough to keep open, but not important enough to bookmark. Perhaps you want to finish reading the page later, or you’re keeping it open as a reminder to perform the tasks that the instructional page is for. Either way, here’s what you need to do. Start closing those tabs. A good rule of thumb is 9 open tabs at once. This comes from the awesome keyboard shortcut of holding the control button and pressing the corresponding number key to select that tab. For example, <Ctrl>+2 will open the second tab from the left, <Ctrl>+1 will open the first. Like I said, it isn’t just a matter of aesthetics. 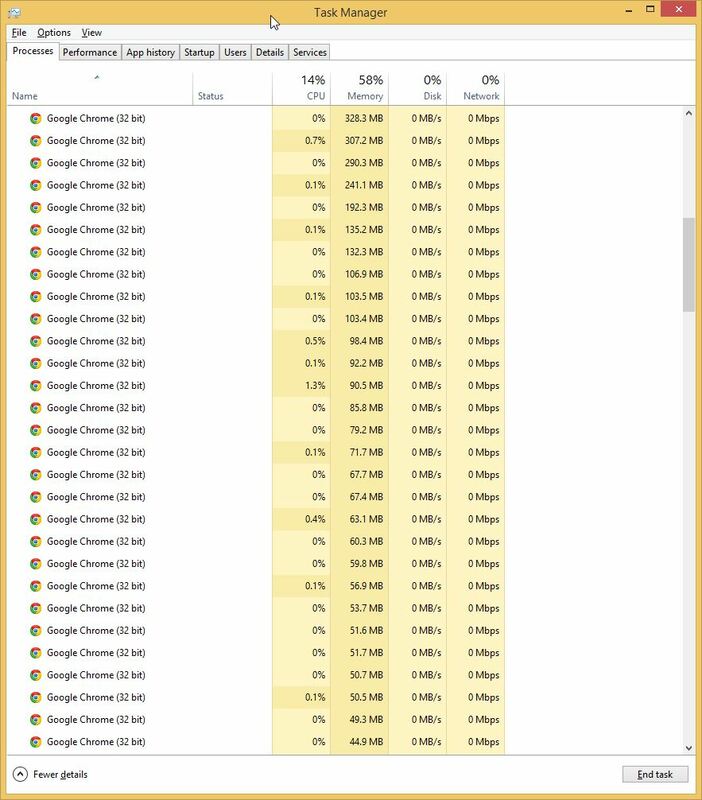 If you have web pages loading with images, animations, videos etc., these can and will chew up your resources. And it isn’t just your computer that this can happen with, check your phone and tablet’s browser for open tabs. You might just find the resource hog that’s been slowing down your Flappy Bird and Facebook.